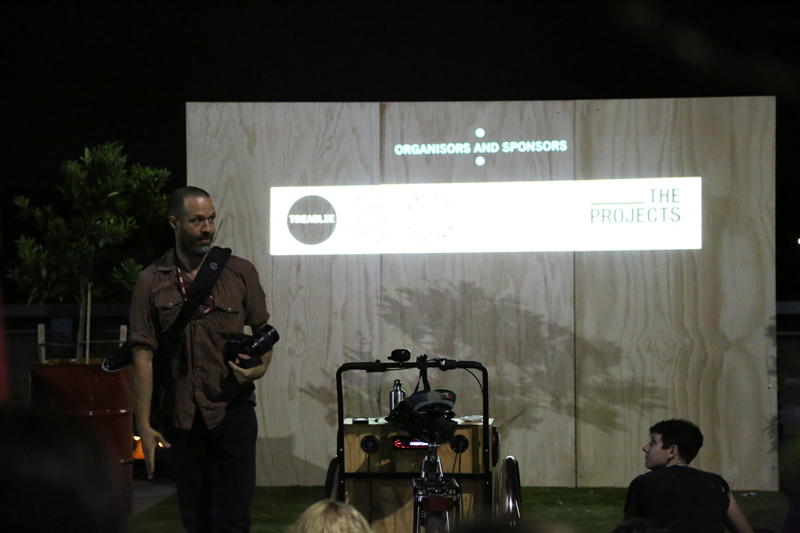 Projector Bike is a three wheeled cargo bike, purpose built with a high powered projector, speakers and batteries. 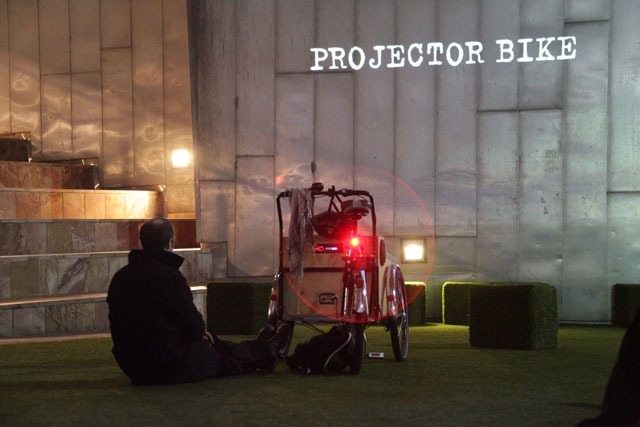 Projector Bike aims to tell stories in public spaces, activate unused spaces, enable site specific stories to be told in relevant locations, surprise and delight pedestrians and members of the public, provide an accessible platform for artists to show their work in public and show content to an expanded audience. 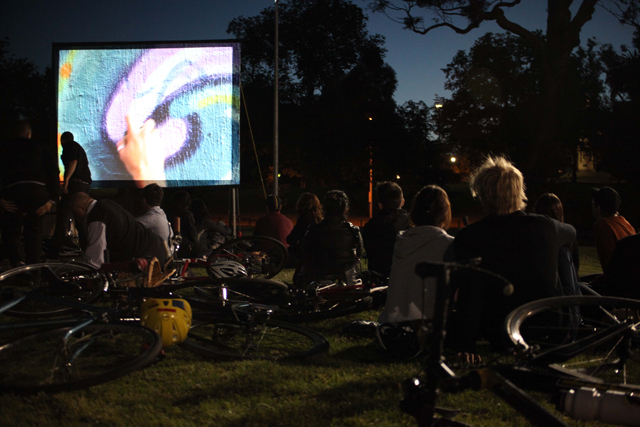 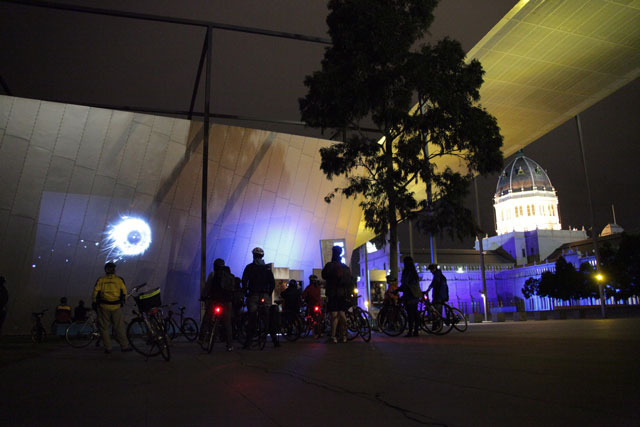 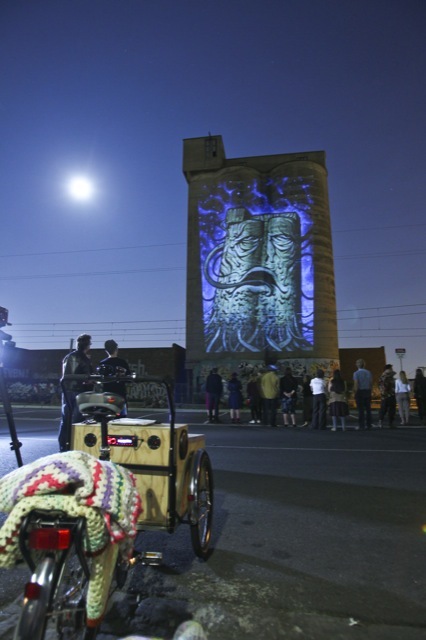 Projector Bike has worked with many organisations and arts festivals including National Gallery of Victoria, Bikefest and Treadlie Magazine , City of Melbourne, Sydney Fringe Festival, Federation Square, Victoria’s State of Design Festival, RMIT University, Darwin Arts Festival, Tinning Street Gallery, Melbourne Bike Share, Canberra 100 and Hobsons Bay Council’s Art in Public Places program 2013.